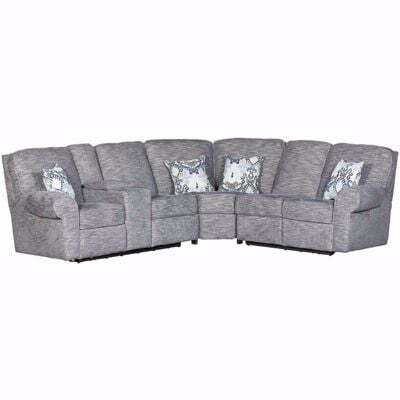 Neela 3pc Power Reclining Sectional from Lane Home Furnishings. 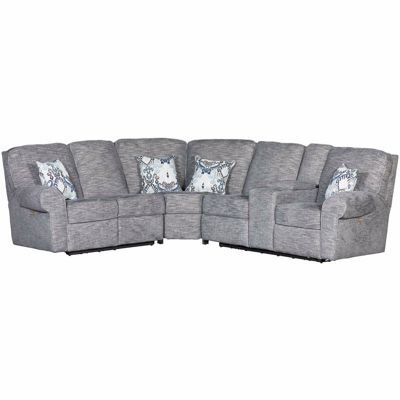 Includes LAF reclining loveseat, wedge and RAF reclining loveseat. Covered in a smoke colored 100% polyester fabric. Includes 4 accent pillows, not sold separately.